This business of photography is changing. Constantly. Yet, fundamental business principles remain the same. Here in the Photo Business Forum, we aim to make sense of all this left-brain stuff. We'll leave the right-brain growth to other talented educators. But don't get it twisted, we're photographers first, and earn our living every day making images. We're not proselytizing from on high, these are street-tested and time-worn practices. Are there other resources out there to pose your questions, get answers, and engage in a dialog? Absoultely, and We'll discuss them, promote and refer people to them. We are constantly participating in ongoing dialogs elsewhere. Usually it's responding to questions posted there, some of which we will post here as well. So, is this a typical forum like that? No. It's where musings, commentary, news, and insights about the business of photography are posted, and then, by all means, feel free to post comments about the entry. We have a Flckr photo/forms/graphics pool - Photo Business Forum Flickr Group where you can start your own threads as well as post images/graphics/forms. Please make sure you look at the guidelines there too! For the seasoned professional, there's always more to learn, and it is my hope that you pick up insights as to how to streamline and otherwise tweak your current business practices to operate better, more efficiently, safer, and, yes, more profitably. For the aspiring photographer, you'll hopefully take away wholesale systems to help you start -- and then grow -- your business so that you get off on the right foot. However, there may be postings that assume you have a level of knowledge that the working professional does. What's the solution? 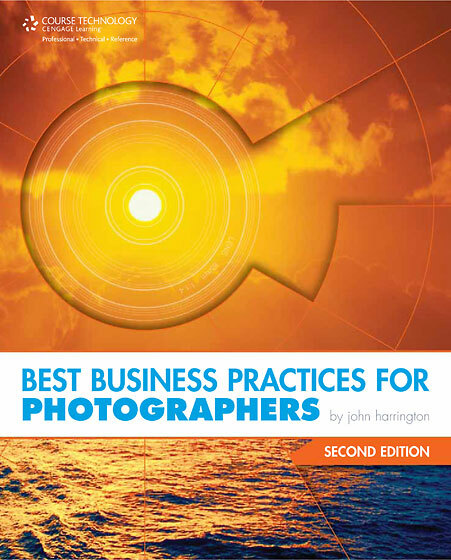 Yes -- shameful plug here -- buy my book, Best Business Practices for Photographers. This is the "Welcome" page, and the front of the site is here: Photo Business Forum. In addition, there is a Flickr group for discussing the business of a photograph, forms, or other business-related uploads. It can be visited at the Photo Business Forum Flickr Group! The Forum will have a few distinct types of posts -- Business 101, General Business, Advanced Business, Business Technology, Rants, and a type of post I'll call "Assignment In Detail", which will discuss a specific assignment, client dialog, and so on. While it won't be limited to these types of posts, hopefully these categories will help you distinguish between the nature of different posts. Business 101 should be self-explanatory. It's for people who know little about the inner workings of the business of photography, yet are eager to learn so as to do it right. Often, we may make a post both Advanced and 101 because the message is aimed at the Advanced crowd, but is critical for the 101 viewer to read and understand as well. General Business is about things that are not 101, and are not targeted at Advanced, but otherwise are of value to know. Advanced Business is where we will discuss things like Orphan Works legislation, handling assistants as employees versus contractors, copyright infringment issues, profit ratios, equipment amortization and aging, and so on. Business Technology will discuss the specifics of how a new version of software, a specific piece of hardware, or any other technological advance will help you run your business more profitably and efficiently. It's not enough to know about the latest cellular card for your laptop, it's important to know how that card will allow you to transmit images on location faster. It's not enough to know that there's a new piece of software coming out, but how it will help you grow your business. Rants? That's obvious. Every so often we find ourselves needing an outlet because of some egregious rights-grabbing contract, or something that otherwise offends our sensibilities. This is where you'll find them. Assignment In Detail - This will be where we dissect part or the entirety of a client interaction, without revealing who that client was specifically. You'll know if it was editorial, commercial, or some variation thereof, but we won't be (or don't plan to make a habit of) naming names. Lastly (for now), is our Recommended Reading List, and the What's On Our Nightstand list. The Recommended Reading list is just that, books we've read, and highly recommend. These books are ones which we feel have so much business knowledge that you can benefit from that we highly encourage you to pick it up and read it. In the What's On Our Nightstand list are books that we've bought and either are reading, or will be reading when we can. Yes, some books may be on our nightstand for months, but, well, we get to them when we can. Questions? Please pose them in our Photo Business Forum Flickr Group Discussion Threads. Comments are turned off for this welcome posting.